As we get older, medical aid is more important than ever. With age comes an increased risk of medical issues, along with greater likelihood of significant medical expenses. 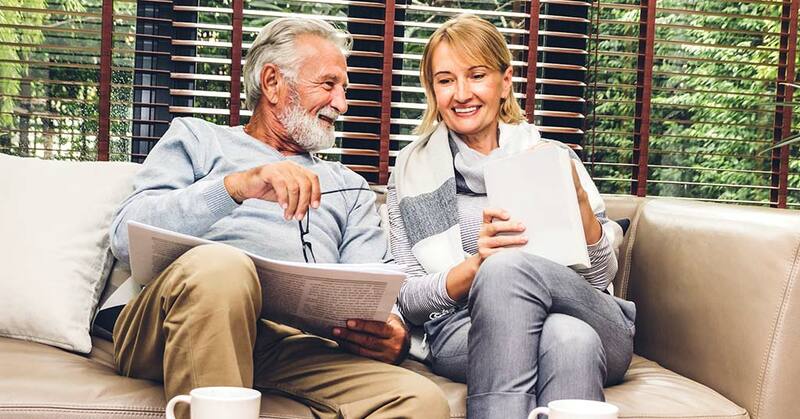 Unfortunately, most South Africans face a drop in income after they retire, and very few employers still subsidise retirees’ medical scheme contributions. The result is that after retiring, many South Africans terminate their existing medical scheme memberships or need to switch to more affordable, less comprehensive plans. The good news is that by law, all South Africans – irrespective of age – are eligible for medical aid, and a range of more affordable options is available. However, if you’re 65 years or older and wanting to join or switch medical aids, there are some things to consider. If you’ve never had medical aid or have been without cover for an extended period of time, you’ll have to pay an on-going late joiner fee, over and above the monthly premium. This applies to anyone over the age of 35. The fee is calculated according to your age and the length of time you’ve been without medical aid. The longer the period without cover, the higher the penalty. The late joiner fee is not a once-off charge – you'll be expected to pay the fee on a monthly basis, resulting in an increased monthly rate, for as long as you are a member of a medical aid scheme. You won’t have to pay a late joiner fee if you’ve been without cover for less than 90 days or are in the process of moving from one scheme to another. Regardless of age, all medical aid members are subject to waiting periods specified in a medical aid scheme's terms and conditions. All schemes have a general waiting period of 3 months, during which time you are not entitled to lodge a claim. There's also a 12-month waiting period for pre-existing conditions. A scheme will not cover the costs of medication, treatment, consultations and/or procedures relating to any illness or condition you were diagnosed with prior to becoming a member. a savings account to cover day-to-day medical expenses. The type of plan you choose will depend on how much you can afford to pay each month. If you can afford a comprehensive plan, this is ideal, especially once you’ve passed the age of 60. If you need to limit monthly medical aid costs, you can choose from a range of more affordable income-based options and hospital plans. In these cases, you'll benefit from basic medical aid cover, commensurate with the monthly contribution you pay. It’s likely that you’ll be limited to using hospitals, doctors and pharmacies that form part of your medical aid scheme’s network. Discovery Health Saver Series (Classic Saver, Classic Delta Saver Network, Essential Saver, Essential Delta Saver Network, and Coastal Saver). If you don’t have a high-end, comprehensive medical aid plan, you can opt to extend the level of cover you have by purchasing gap cover. This is designed specifically to cover gaps between what your existing medical aid plan covers and what private medical healthcare actually costs. Monthly premiums for gap cover vary from around R200 to R480. At IFC, we offer informed, objective advice about South African medical aid schemes, and can assist you in joining the scheme that best suits your needs and budget. Contact us for more information or to discuss your needs for medical aid after retirement.